Manchester Metrology » News » News » Manchester Metrology Go To Auction! 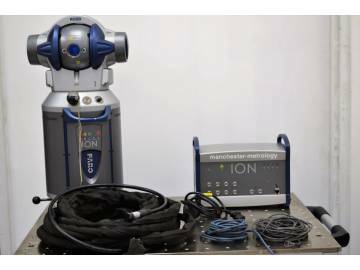 Manchester Metrology now has a wide range of used metrology equipment for sale via Apex Auctions. A total of 17 items are up for sale ranging from laser probes to FARO arms. All items will be available to view in person between 9:00am – 16:00pm on 3rd April by appointment only. This is a great opportunity to buy high quality metrology equipment at discounted rates but we quick, bidding closes on April 4th! For more information on the live auction or to book a viewing appointment, call a member of the team on 0161 637 8744 or visit the auction site here.